We appreciate your feedback about your support experience with WooCommerce, developers of Galleria. This helps us maintain high standards on the WooMarketplace, and helps WooCommerce improve. 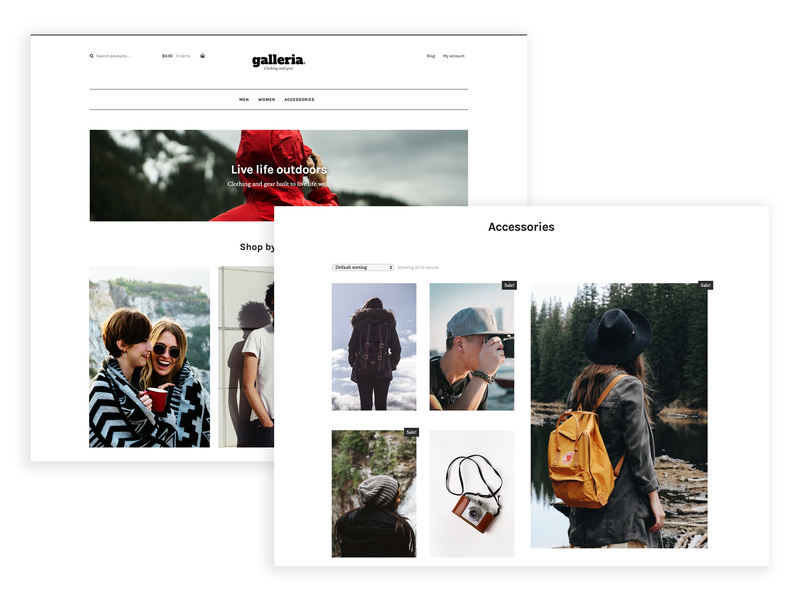 Galleria is a Storefront child theme perfect for fashion and design stores. Stylish and minimalist, it gives sites a classy look and keeps products center stage. A subscription entitles you to 1 year of updates and support from the date of purchase. If you’re unhappy with your purchase, no worries – we offer a 30-day money-back guarantee. Give your fashion store a fresh look or start a brand new one with Galleria! 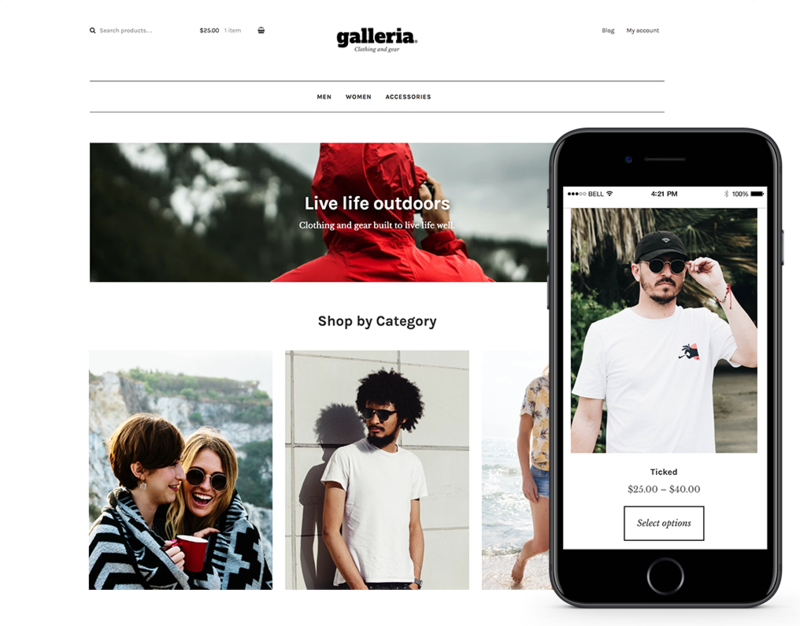 Galleria has a minimalist design that highlights your product images to grab a visitor’s attention, and WooCommerce handles the rest. Download Storefront and Galleria, activate a couple of Storefront extensions, play with the settings, and you have yourself a unique design for a dashingly good-looking store. WooCommerce Storefront is built with valid schema markup to improve your sites SEO performance. Bulletproof integration with WooCommerce core and several WooCommerce extensions. Change the look and feel of your store in a few clicks and see your tweaks in real-time. Whether you view your store on a computer or handheld device, it will adapt and display beautifully. Display product categories, recent, featured, on-sale, and top-rated products all from your homepage. WooCommerce Storefront's adherence to accessibility guidelines makes your store accessible to the widest audience possible.